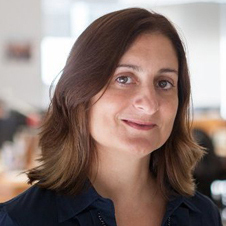 Angelica Micallef Trigona joined AAT Research Ltd in 2014 to head marketing and operations. An experienced marketing and human resources management professional, she commenced her career in 1995 as part of the team that brought Malta’s first business newspaper – The Malta Business Weekly – to life. In 1999, she moved to the IT industry, joining GFI Software, then a start-up. In her 15 years with this international software company, she has headed worldwide marketing and HR teams, projects and processes. In 2007, she received the Foundation for Human Resources Development (FHRD) Excellence Award. She was named a Paul Harris Fellow by the Rotary Club Malta in 2011 for voluntary work. Angelica holds a first class B.A. (Hons) in Communications Studies from the University of Malta. She is married and has a son.